The Birla Institute of Science and Technology (BITS) is expected to declare the BITSAT exam 4th iteration result for integrated firsts degree on July 31. The institute has already declared the iteration3 results on July 21 whereas the result of iteration1 was announced on July 1 and that of iteration2 was announced on July 12. 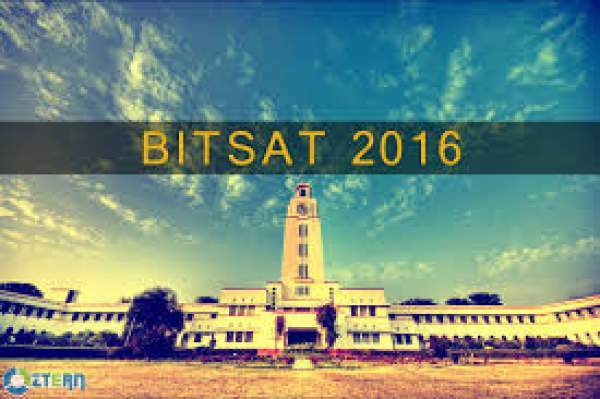 BITSAT 2016 was conducted from May 14 to May 28 for granting admissions to the aspirants in various integrated first degree programmes at its campuses located in Hyderabad, Goa and Pilani. The online tests are conducted at several centres in India, during May-June every year. The candidates who appeared in BITSAT 2016 will be eligible for admission only if he/she gets the minimum required marks in physics, chemistry and mathematics subjects of class 12 examination. The Institute is now making arrangements to declare the 4th iteration 2016 results. The results will be out by 5:00 p.m. on July 31. Hence the aspirants those who had written the exam and waiting for the 4th iteration result can check their results from the official website of the institute after 5:00 p.m. on July 31, 2016. As per all the available statistics, the lowest cut-off for admission to any programme other than B. Pharmacy in BITS at the end of iteration3 is 298. The Cut-off for waiting list for B. Pham is 210. The Cut-off for waiting list for all the programmes other than B. Pharmacy is 280 whereas the lowest cut-off for admission to B. Pharmacy at the end of iteration3 is 224. • Visit the official website of the Birla Institute of Technology i.e. www.bitsadmission.com. • Click on the link saying ‘BITSAT-2016 Score’. • In the provided fields, enter all the asked details like your application number and password. • Click on the ‘proceed’ button. • Your result will be displayed on the screen. • Download the same and take a printout for future purposes. Stay tuned for latest education news across the nation.